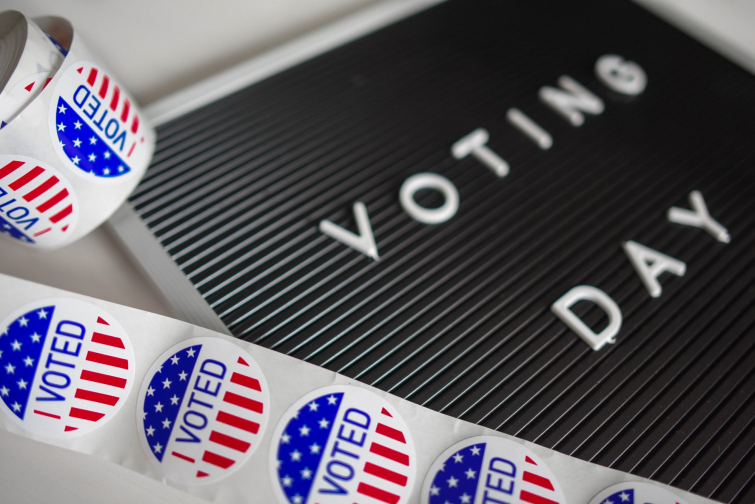 According to The Gospel Coalition contributor Jonathan Leeman, many voices on both sides of the political spectrum are calling today "the most important election of our lives". Are the stakes really that high? And, if they are, how must Christians handle the power they will wield at the voting booth today? "...that’s how today’s political rhetoric goes," Leeman says, questioning anyone's ability to accurately declare one midterm election more important than any others in recent memory or near future. "Rendering historic judgments always grabs attention. Turns heads. Gets clicks. Draws dollars. Mobilizes votes." While Scripture doesn't clearly command us to vote—democratic republics being a fairly recent idea, after all—Leeman does count voting as "rendering unto Caesar what is his," as well as doing justice and loving your neighbor. With that in mind, how should the Christian approach the voting booth? "Thank God we live in a country where we can vote," Leeman declares. "Few people in the history of the world have been able to participate in the decisions of their government. That’s a good gift from God." "Governments exists to do justice (see Gen. 9:5–6; Rom. 13:1–7). 'By justice a king builds up the land' (Prov. 29:4). That’s the government’s job: to do justice," Leeman continues. "In Scripture, doing justice means rendering judgment in accordance with God’s righteousness," he adds. "That’s what I mean when I say vote righteously. When you step into the ballot box, choose righteousness. Choose justice." Like King Solomon, when two women came to him arguing over a baby, American Christians today have their own "baby dilemma," Leeman says. "One group of Christians says to care for babies in the womb. Another group says to care about babies at the border," he explains. "I hope all Christians care about babies in both locations. But one party has been tagged as caring about one, while the other party has been tagged as caring about the other. How do we reason our way through this dilemma?" While clarifying that these are complicated and not morally equivalent issues, Leeman urges Christians to pray for Solomon's wisdom to figure out which claims are legitimate and which considerations are most weighty, and to seek that wisdom in the many other issues Christians must consider when they vote. "First," Leeman says, "choose candidates and positions that won’t prevent the church from doing its Great Commission work. God establishes governments, ultimately, so that his plan of redemption can unfold." "Second, be mindful of your witness among colleagues and neighbors," he continues. "This has less to do with how you vote and more to do with how you talk about it. Do you really need to tell everyone what you think? When you do speak, remember your call to share Christ with your colleagues and neighbors." Even within the body of Christ, Americans are deeply divided by politics. Keep your brothers and sisters in Christ who might disagree with you in mind when and after you vote. "They might share the same goals but have different opinions on the tactics," Leeman encourages readers. "Remember that you’re not an apostle with the spirit of revelation. You don’t have a direct line to Jesus on political tactics."